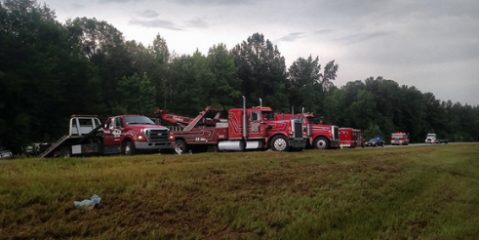 From septic maintenance to heavy-duty towing, the skilled team at Rahn's Wrecker Service in Rincon, GA, offer a wide range of services. These trusted professionals utilize the latest equipment in the field to meet your land clearing, towing, and septic maintenance needs. Clients can count on receiving honest pricing, affordable rates, and personal attention. Are you planning an upcoming construction project? Before bringing your vision to life, take advantage of this proven company’s dependable dirt work and land clearing services. Their skilled technicians are also prepared to tackle your septic system jobs, including installations and cleanings. Friendly staff members will listen to your questions and concerns, offering helpful tips designed to extend the lifespan of your septic system. Over the years, this company has become known for their commitment to customer service. If your car, truck, or tractor is stranded on the road, don’t hesitate to reach out to these experts for timely tows. When searching for dependable septic, land clearing, and towing services, go with the team at Rahn's Wrecker Service. Call them today at (912) 826-5585 to request an estimate.